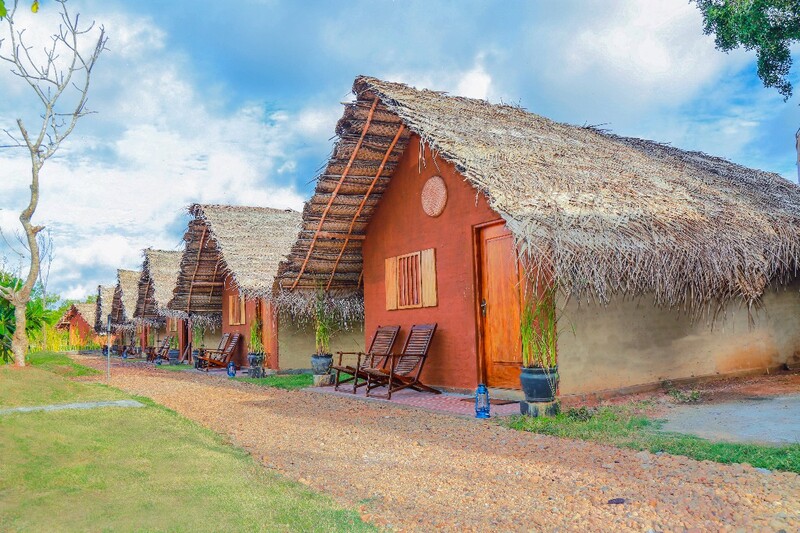 Gagabees Yala is one of the most versatile resorts made based on the Agro-Eco concept. We expect our guests to adapt and respect to the nature. It's our responsibility to experience the nature without harming. That's why we have built all our buildings with all natural materials. 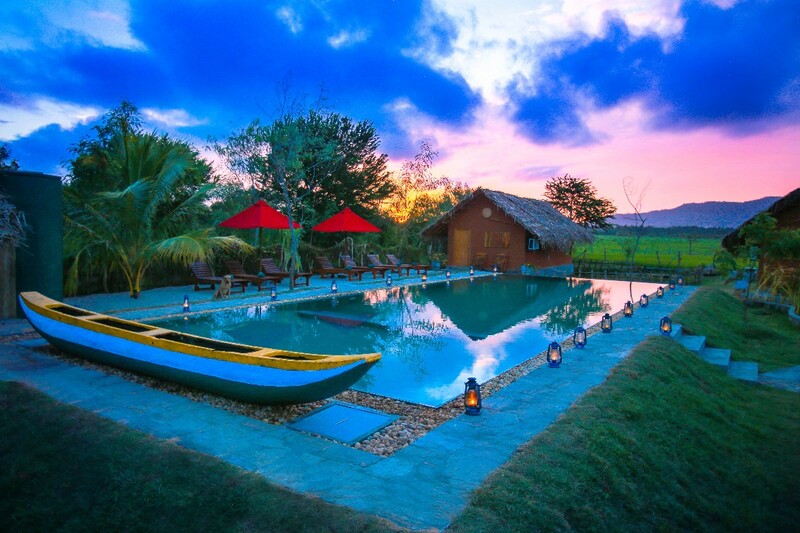 Gaga bees Yala is an eco friendly boutique resort located an edge of a beautiful rice field our every chalets faces to the rice field and a mountain. Beautiful out door swimming pool gives a great value addition to the resort, it has a jacuzzi bench too, when some one sit on the jacuzzi bench he or she-can enjoy the awesome view of rice field and mountain,specially in evening they can enjoy the sun set with golden red color sky. 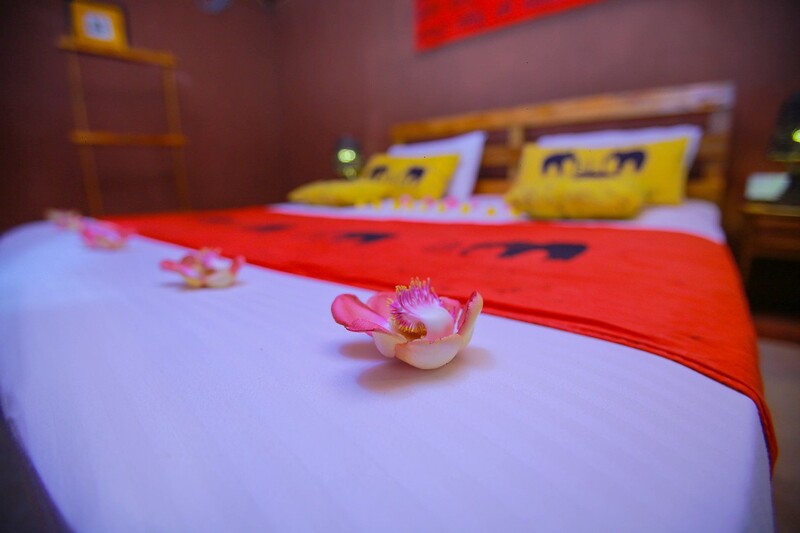 Gaga bees Yala resort is situated 3km away from the busy city instead of artificial vehicle sounds, our guest can enjoy the nature with listen to songs of birds,in fact they can sleep with sounds of. Crickets, and wake up with songs of birds. Our every chalet has a private terrace with arm chairs, guest can have a cup of tea while their siting on arm chairs at their own terrace of the chalet. It’s good for the relaxing. According to our hundreds of client ,when they plan a tour to a country like srilanka, Specially they seek relaxation because they need to hide from their busy life at least for a while. Gaga bees Yala is an ideal place for stress burning. Due to this type of Eco friendly project we give a good encourage to people who make some thing,do it nature friendly, then our environment will be protect, from artificial things.